BACKGROUND: Registered Counselor (KB, PA) with more than 6 years of experience and formerly holding Corporate Managerial position with more than 12 years of experience. EXPERTISE: Employee Assistance Program (EAP), Employee Wellness Program (EWP), Organizational Consultation, Assessment & Customized Intervention, Psychological Intervention for Adolescents, Adults, Couple & Family. 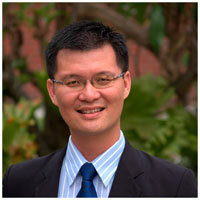 WILSON is one of the founders and CEO of TURNING POINT INTEGRATED WELLNESS SDN BHD. He is a Malaysia Registered and Licensed Counselor (KB,PA), graduated from Universiti Pertanian Malaysia (currently known as Universiti Putra Malaysia) with Bachelor of Honours Degree in AgriBusiness (1994) and later obtained a Master Degree in Guidance & Counseling (2009) from Universiti Kebangsaan Malaysia. WILSON began his career in the area of sales and marketing since 1994 and has worked with various multinational organizations like PUBLIC BANK, NITTO DENKO, RALCO (M) and SUMITOMO. His 12 years of working experiences in the corporate world handling various customers like Motorola, Freescales, ST Muar, Infineons, Chippac (M), NEC, Toshiba, Texas Instrument, Epson, NS Semiconductors, Carsem, Unisem, Fujitsu, BBraun etc has provided him with a unique blend of people development and business development skills. Acknowledged as a people’s person, WILSON has always had a deep interest in the human psychology. He feels strongly in the area of holistic development and personal empowerment. Riding on the 12 years of experiences in the corporate world, he further pursued his passion in the area of counseling, consulting and training upon obtaining his Master Degree in Guidance and Counseling. Since then, he provides counseling to individual, family and specific group specialized in self transformation and career development, conducts training programs and public talks targeting corporate companies and larger community. Throughout the past few years, WILSON has worked with a whole range of corporate and public clients in the areas of training, consultation, coaching and Employee Assistance Program (EAP) for multinational corporations, local organizations and associations i.e. Motorola, Freescale Semiconductor, Shell, Kenanga Investment Bank, SMTC, Universiti Malaya, International Medical University, Pelangi Publishing Group, Selangor & Federal Territory Hainan Association Malaysia, AKPK, Financial Planning Association Melaka etc. WILSON is a Certified Trainer of the Ministry of Human Resources (PSMB). He also has been guest speaker and interviewee for TV, radio, local newspapers and magazines such as TV2 “Young Angel”, NTV7 “BELLA”, AiFM, Nanyang Siang Pau, China Press, The world of Tzu Chi and Pu Men. WILSON speaks fluent English, Bahasa Melayu, Mandarin, Fujian and Cantonese dialect. He volunteers actively in various non-profit organizations by giving mental health-related talks and providing training in counseling skills to volunteers. As a believer in holistic self-care, he is a keen meditator and has a great love for travelling. He had traveled to many countries like German, Holland, Cambodia, Laos, Myanmar, Vietnam,Thailand, Singapore, China, Hong Kong, Taiwan, India, Nepal, Sri Lanka and Japan.